24+ Seeds. 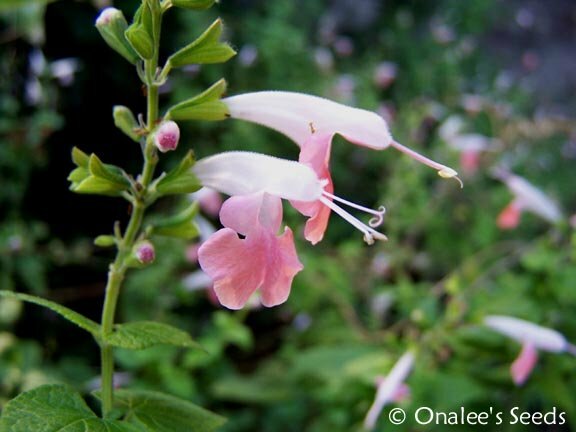 Don't let the delicate looking flowers fool you - these are TOUGH plants! Like all Texas Sage (Salvia), they prefer full sun and fairly dry conditions. Oh, and did I mention the hummingbirds love them? These are a perfectaddition to any BUTTERFLY garden, too! 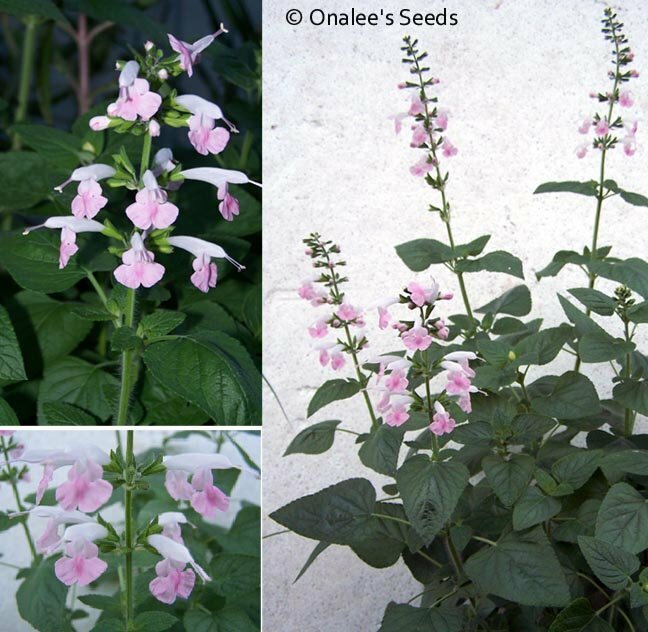 24+ Seeds for Texas / Hummingbird Sage (Salvia Coccinea, AKA: Scarlet Sage). I believe this to be the cultivar 'Brenthurst' - it has the most delicate light pink and white flowers you can imagine!